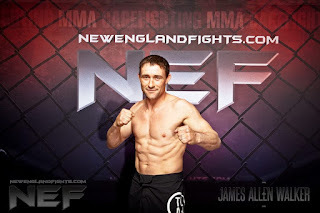 New England Fights (NEF) will hold its final mixed-martial-arts event of 2018, "NEF 36: Battle for the Gold," on Saturday, November 17 at Aura in Portland, Maine. Earlier today, the fight promotion announced the addition of a professional featherweight title fight to the card. Aaron "Relentless" Lacey (6-2) is scheduled to meet Bill Jones (13-10) for the vacant NEF Professional Featherweight Championship. Lacey is coming off one of the biggest wins of his professional career to date. 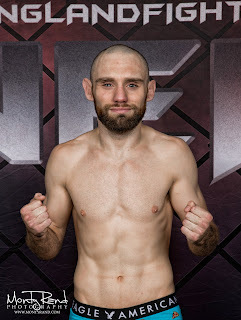 Last weekend at "NEF 35" before his hometown fans in Bangor, Maine, Lacey submitted Jon Lemke (7-9) just under two minutes into the first round. It was a rebound win for Lacey who lost a decision to a very tough Da'Mon Blackshear (5-2) earlier this summer in Portland. At "NEF 36," Lacey will look to capture gold in the promotion for the second time - he won the NEF Amateur Featherweight Title at "NEF 20" in November 2015 in what would be his final amateur fight. Lacey is a member of Young's MMA based in Bangor. Bill Jones is one of the pioneers of the New England MMA scene, having competed in the region since 2007. He holds wins over some of the top fighters ever to come out of the area such as UFC veteran Tateki Matsuda (13-9) and current UFC competitor Matt Bessette (22-9). Jones has competed at the national level for the World Series of Fighting (WSOF). Like Lacey, he also holds a first-round submission of Jon Lemke to his credit. At "NEF 33" in Portland last spring, Jones was victorious over Matt Denning (5-8) via technical knockout in the second round. He is currently a member of Nostos MMA in Somersworth, New Hampshire.